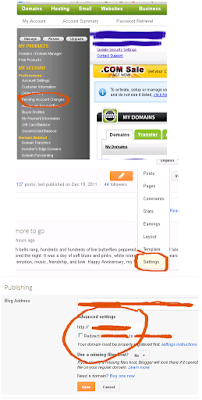 As a first timer, I found it confusing to link my purchased domain name (PDN) to my blog. But with a trial-and-error manner and with a help from a friend. I did it.And it worked! 2. Click My Account button. 3. Click Pending Account Changes. 4. Check the box/boxes corresponding to your PDN (Purchased Domain name). 5. Click Quick Accept button atop of your PDN. 1. 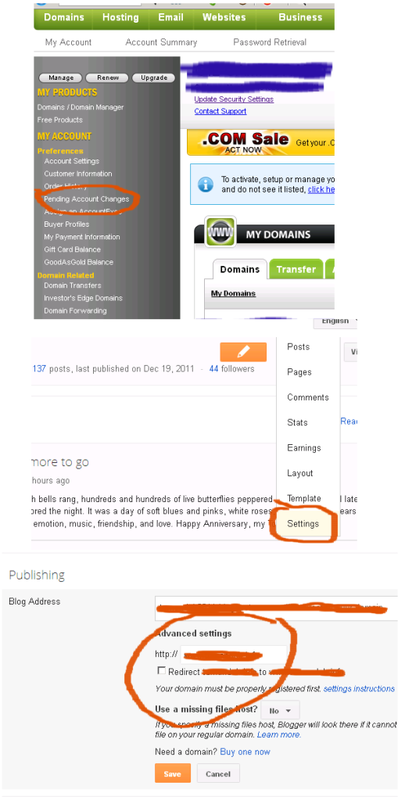 Log In to your blogger account (where your blog is hosted). 3. Click Add Domain Name (with prefix www). Wait for a few minutes. Then check your blog. Presto! It's now in the new server. However, there are disadvantages in changing to a new nameserver such as: losing your present google rank, likes in your different blog pages are also gone, and many features which your old blog enjoyed are all gone. Anyway, I'm very grateful to the members of Filipino Bloggers Worldwide like Cecile Cinco, Charlie Montemayor and Samantha Tan for their invaluable efforts in facilitating and helping me out at the time when I was off-handed technically. Thanks to you pals! Thanks for sharing! If ever I'll transfer to GoDaddy, it'll be easy for me to set up my domains because of this. Thanks! Thanks for sharing this Sir. I am planning to buy another domain name soon. Need to bookmark your post. hehe. Thanks for sharing this. I would be buying my own domain soon and definitely I will need some guide how to do it too. I am still looking for better options other than godaddy's domain name registration and web hosting service. Or maybe, I'll try hosting it on my own web server and just buy a domain name.